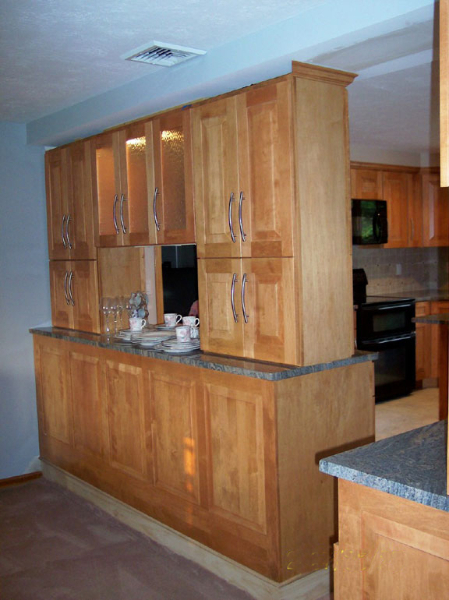 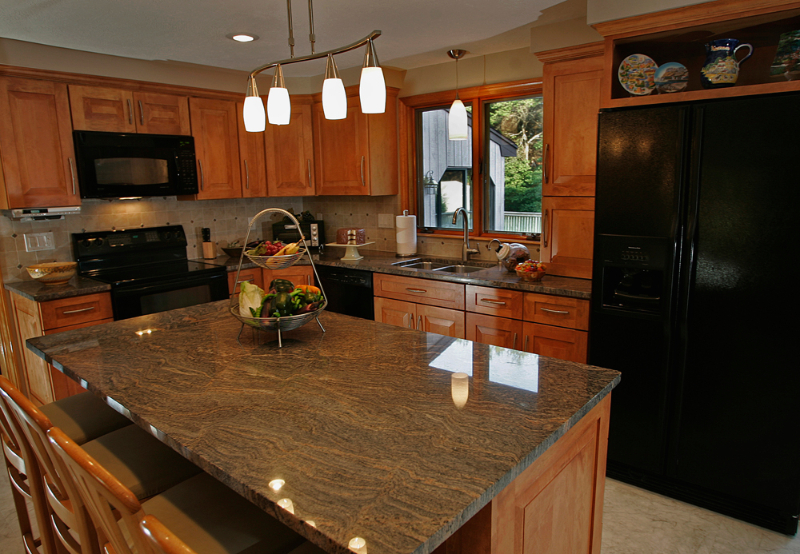 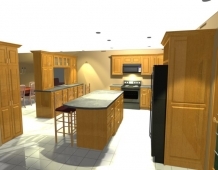 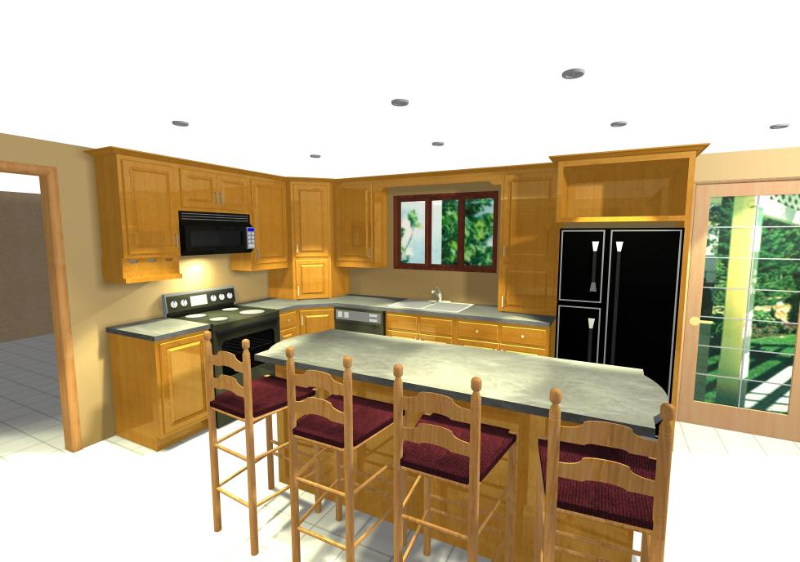 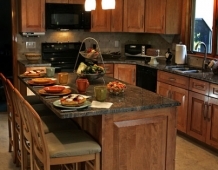 When these Hanover, MA homeowners contacted Cathy and Ed of Renovisions to discuss their new kitchen, it was quickly realized that with the 3 month deadline of their daughter’s graduation party, there was no time to waste. 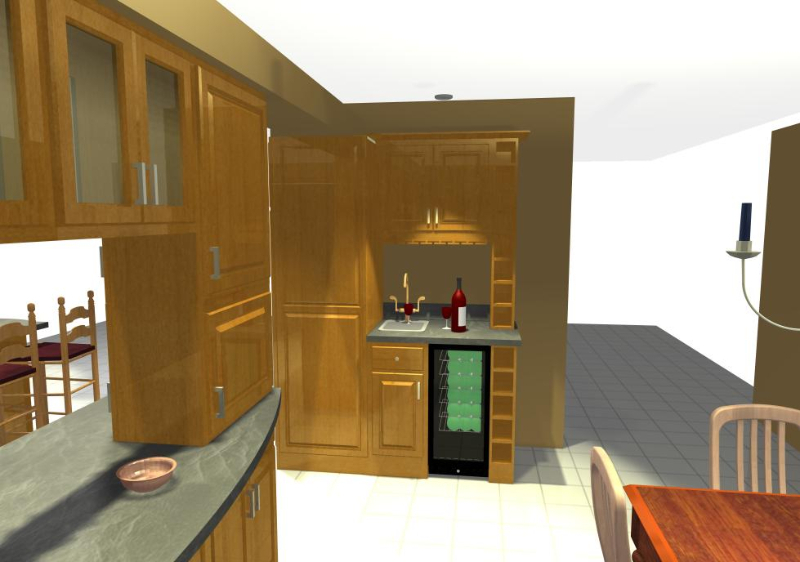 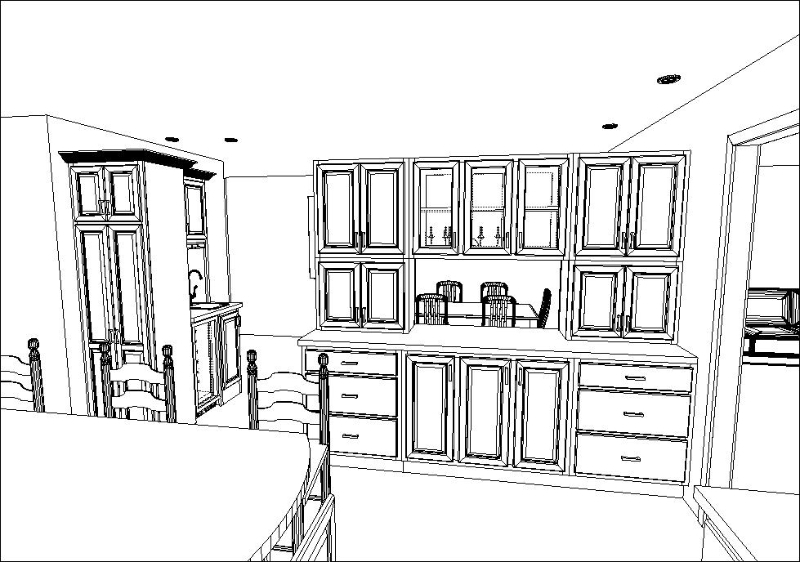 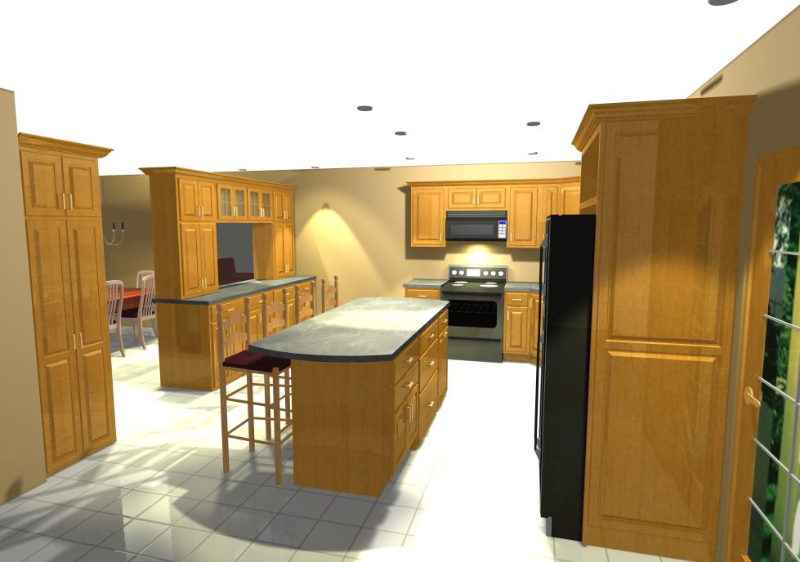 We presented a design to maximize storage by using a lazy-susan, deep pot & pan drawers, a pull out spice rack, a pullout double trash bin and a countertop appliance garage for storage of snacks that were always on the counter. 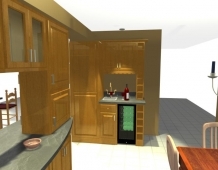 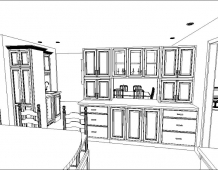 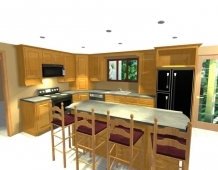 The design also would accomplish the homeowner’s desire to create a more open feel into the adjacent dining room by replacing the partition wall with a steel beam and peninsula cabinets which have access from both rooms. Glass door cabinets were installed in the middle section giving the homeowners a place to store and display their fine Italian dishes. Basket-weave glass, a glass shelf and the glow of interior halogen lights all helped to create the desired look. 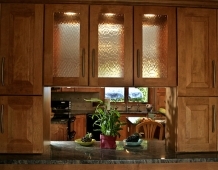 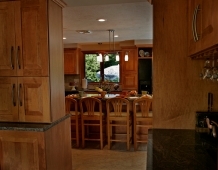 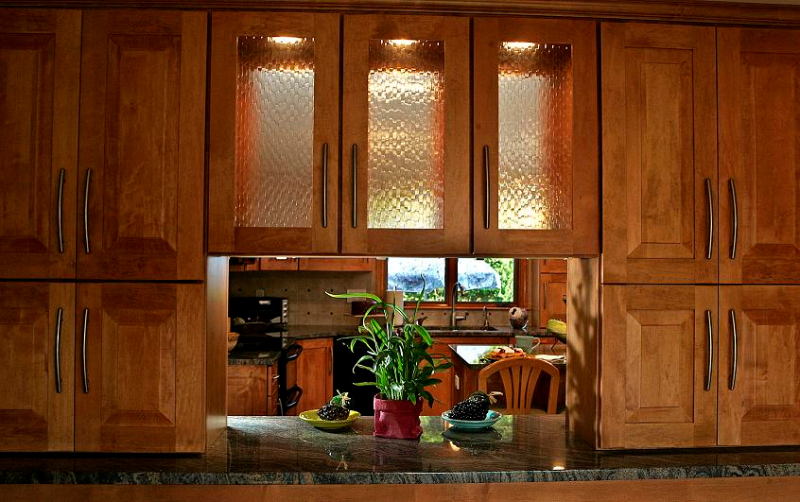 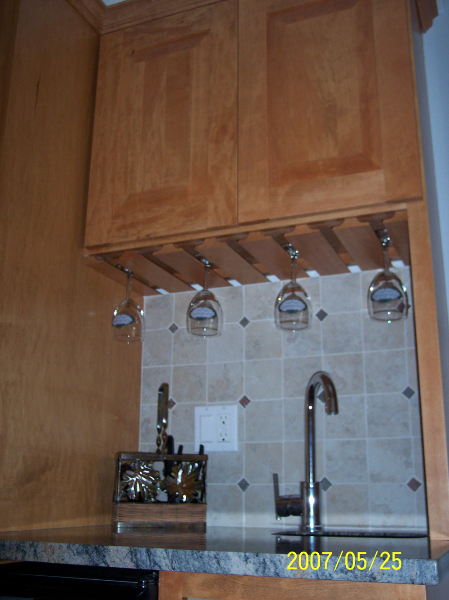 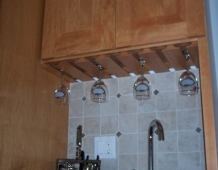 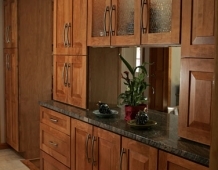 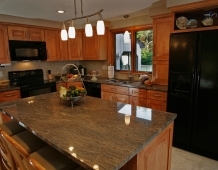 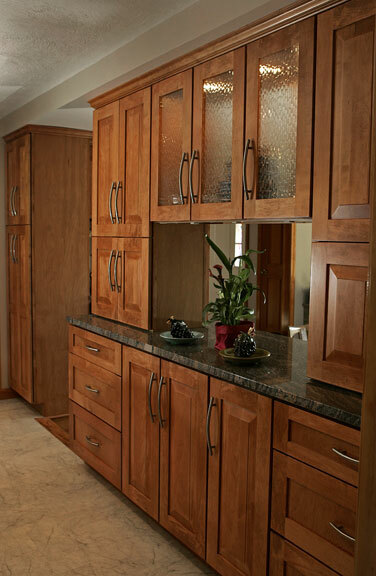 The pass through gave them the openness they were looking for without sacrificing much cabinet space. 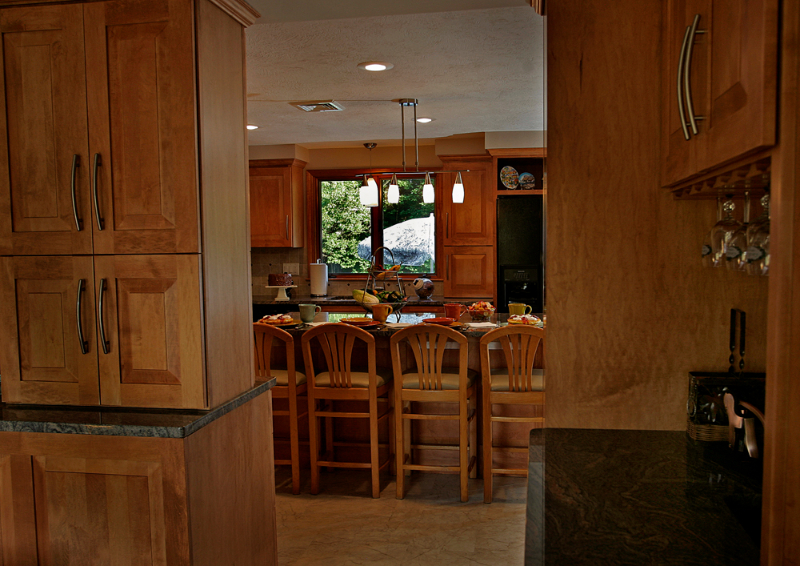 The soffit design used to encase the beam was carried throughout the rest of the kitchen. 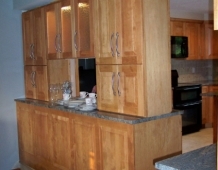 The wall at the bottom of the stairs was also opened up and a railing installed to match the existing one further helping to create the open feeling of the room. 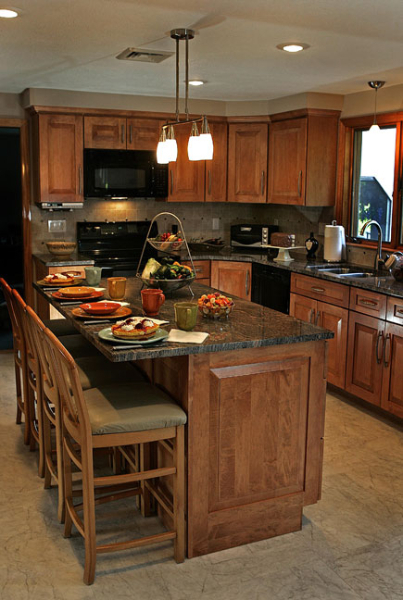 – Nancy & Tony C.